There are many theories about the return of Christ and the Great Tribulation, but what does Scripture tell us about these events? 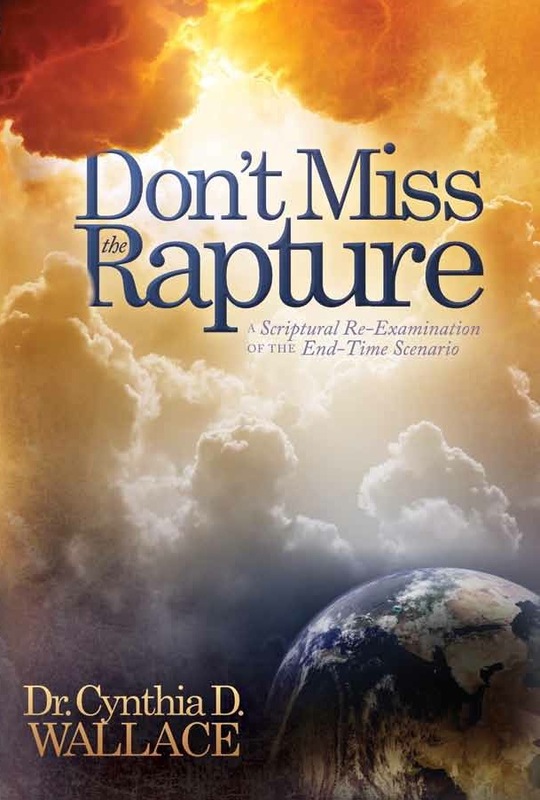 In Don’t Miss the Rapture, Dr. Cynthia D. Wallace clarifies – and at times confronts – some controversial Rapture theories of the Church, and weighs them against the totality of Scripture. Pre-, mid-, or post-Tribulation persuasions are at the epicenter of the current-and-choice end-time debate, with no overall consensus to date. This book is an in-depth Scriptural answer to the question. A corollary to this underlying theme is the vital importance of “watching” and being “ready”. This two-fold message is abundantly supported by Dr. Wallace’s painstaking and thorough approach to Scriptural analysis, with fresh and provocative insights into the various and complex issues at stake. This is a “must read” for all those truly interested in enlarging their vision on this timely and crucial subject.